From Mi Jian, the highly acclaimed Chinese dissident, comes a satirical novel about the absurdities of life in a post-Tiananmen China. Two men meet for dinner each week. Over the course of one of these drunken evenings, the writer recounts the stories he would write, had he the courage: a young man buys an old kiln and opens a private crematorium, delighting in his ability to harass the corpses of police officers and Party secretaries, while swooning to banned Western music; a heartbroken actress performs a public suicide by stepping into the jaws of a wild tiger, watched nonchalantly by her ex-lover. 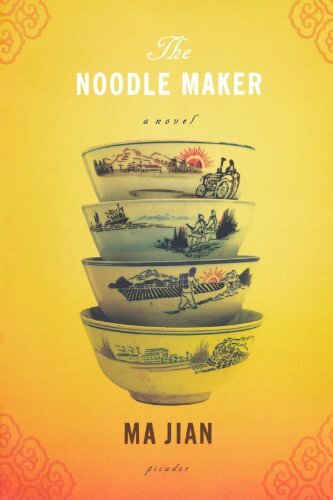 Extraordinary characters inspire him, their lives pulled and pummeled by fate and politics, as if they are balls of dough in the hands of an all-powerful noodle maker. Ma Jian's satirical masterpiece allows us a humorous, yet profound, glimpse of those struggling to survive under a system that dictates their every move. If you have any questions about this product by Picador, contact us by completing and submitting the form below. If you are looking for a specif part number, please include it with your message.